« Agri-View – AGvocate of the Week! 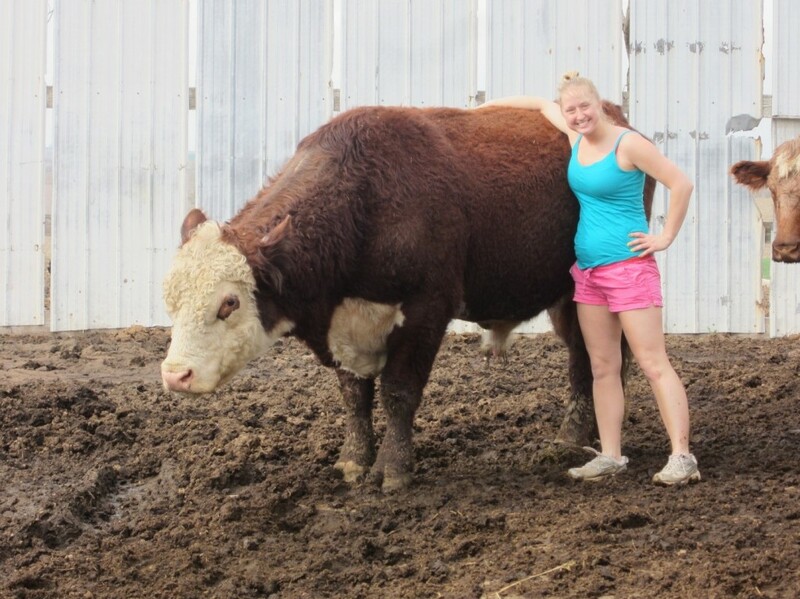 K*Jo Herefords & Kellie Jo Gregorich from Lamotte, IA is our “Girl that is Getting Things Done” feature today! Kellie and her Father work together to run their operation of a couple hundred acres and 60 head of purebred shorthorn, Herefords, and miniature Herefords cows. They run a cow/calf operation from start to finish until they are ready for the Market. This is the perfect set up considering Kellie works full time as well. I have to say quote Kellie on this because for me to rewrite it would be a shame. I asked Kellie to tell me about her: “I’m a blonde hair, blue eyed, ‘firecracker’. I’m very headstrong and believe you can get anywhere with hard work. My family is extremely important to me and means everything to me. Without my parents, I wouldn’t be where I am today. My sister always pushed me to achieve bigger and better and I hated it then, but now I can’t thank her enough. I enjoy scrapbooking, riding horses, playing my clarinet, riding my bike, bonfires, showing cattle, and photography. I’ve been called nice, sarcastic, funny, ‘go-getter’, cow freak, and many other things, but those are my favorite! I guess it’s hard for me to write about myself, but if you check out my blog, Kelli For Ag, you will get a better feel for who I am, what I believe in, and what I enjoy doing.” There is no way to sum that up, She is a strong-willed, hardworking gal who puts her family first, and her cattle second. I can’t think of a better way to be. When asked the question of Why Blogging and Why Ag? 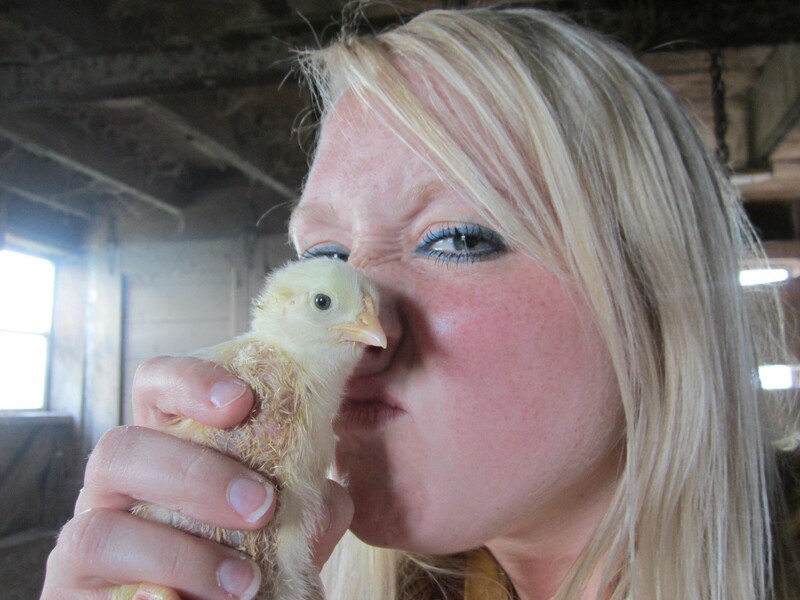 Kellie answered, “I’m a fourth generation farmer. For those of you that are farmers, that’s all you need to know. 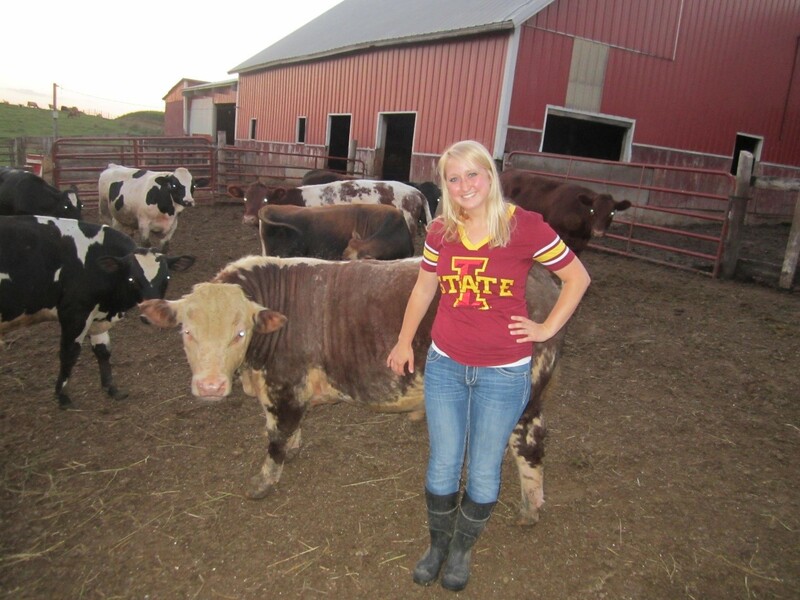 To others, being a fourth generation farmer is ‘kind of a big deal.’ Agricultural has always been a part of my life. It means everything to me. If I’ve had a bad day, a day on the farm can take away all the worries, concerns, and bad feelings. Ever heard of ‘runner’s high’? Well I have ‘farmer’s high’. It’s been in my blood for generations. It’s something I thrive on and enjoy doing. Most women don’t get excited about feeding calves, having a bottle calf, grinding feed, or raking hay, but this one does. In 3rd grade we had to draw what we wanted to be. I drew “Farmer Kellie”. Someday I hope to be a full time farmer and make 3rd grade Kellie’s dream a reality. Farming will be something that I do for the rest of my life.’” Kellie is hoping to use their family operation to teach others that not all farmers are ‘bad farmers.’ I want others to really see what is going on in farming. I want to know your dirty little secret…..ok you don’t have to give that up, but tell me something unique about you, your operation, your family, anything goes! “I’m kind of a chicken freak too! I love my laying hens and get seriously excited to go pick eggs every morning!” I won’t lie Kellie, I’m a little jealous, I haven’t had the time to start with Chickens but someday I hope to, there is nothing better than a farm fresh egg! It has been so great getting to know you Kellie and allowing others to see the great things you are doing in Ag! Thank you being a part of “The Women that Get Things Done in Ag” Feature! To read more about Kelli check out her Blog Here. Kellie has also been a part of FarmHer Inc, which is a great exposition on Women in Agriculture through Photographs! Too Cool!